Coast Dental Tracy dentist Farhana Rassiwala invites people to a complimentary seminar on Monday, October 27, 2014, to learn how fixed dentures, removable dentures, crown and bridgework, and other types of prosthodontics can replace missing teeth and restore smiles. A smile is one of the first things people notice. Many people who are missing one or more teeth often feel self-conscious or embarrassed. Some choose to smile less, or even will hide their mouth behind their hand. Plus, missing teeth can impact one’s ability to speak and eat. Sound familiar? There’s hope. 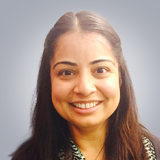 Coast Dental Tracy dentist Farhana Rassiwala invites people to a free seminar on Monday, October 27, from 9 a.m. to 10 a.m. to discuss the different options to replace a missing tooth or teeth. The seminar will be held at Coast Dental Tracy, 2990 West Grant Line Road in Tracy, CA 95304. The telephone number is (209) 830-7797. Find out how dentures, partial (removable) dentures, crown and bridgework, and other types of prosthodontics offered by Dr. Rassiwala can replace missing teeth and restore smiles. The Tracy, CA dentist will explain the differences between the procedures, discuss how long each procedure takes, how much each can cost, and the factors that go into deciding which type of procedure is best for a patient. Coast Dental Tracy offers a wide range of services including cleanings, fillings, crowns, bridges, dentures, dental implants and restorations, root canals, extractions, braces and aligners, oral cancer screening, gum disease treatment, and teeth whitening. Have a toothache? Coast Dental strives to accommodate same-day emergency dental appointments. The team includes two general dentists, Dr. Rassiwala and Dr. Sonia Dhillon; orthodontist James Bailey, DDS; periodontist Navneet Arora, DDS; oral surgeon Shadi Boutros, DDS; and endodontist Madhavi Setty, DDS, MSD. The office team is fluent in English and Spanish, plus has a team member who speaks Punjabi. Coast Dental accepts more than 200 types of dental insurance including Delta Dental, Delta Care, and MetLife. It also offers dental financing plans and SmilePlus®, which offers savings up to 70% on dental services for patients without insurance. For office hours, money-saving offers, and more information, please visit http://www.CoastDental.com or call (209) 830-7797. Coast Florida P.A., with its professional associations, is one of the largest providers of general and specialty dental care in the United States with more than 175 affiliated practices operating as Coast Dental and SmileCare. Coast Dental Services, Inc. is a privately-held practice management company that provides comprehensive, non-clinical business and administrative services to its affiliated practices. The company is headquartered in Tampa, Florida. For more information, visit CoastDental.com.